The Glen-Mor Restaurant sourced its ice cream from Deering, serving vanilla, chocolate, and raspberry sherbet. We made a homemade version for inclusion in the cookbook. Blend raspberries, milk, and sugar in a blender, complete in batches if needed depending on size of blender. Juice lemon and add 1-1/2 tsp. to the raspberry mixture. Pour the raspberry mixture through a fine sieve to remove the seeds. 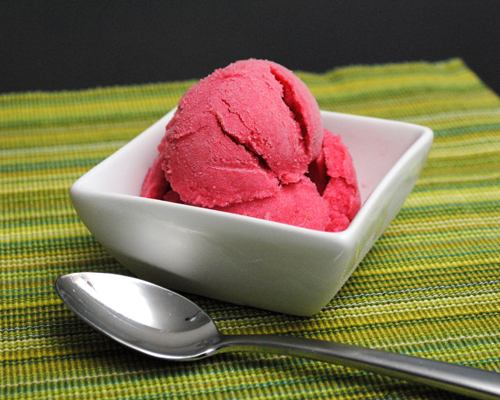 Freeze mixture in an ice cream or gelato maker. Serve cold alone or along with other ice cream flavors.